So you’ve decided to equip your fleet with mobile computers. Considering that fleet-based organizations can see a 23% improvement in workforce productivity by implementing a mobile solution, that’s an easy choice. Now comes the hard part—deciding on the best device for your needs. It’s important to consider how the device will work with your existing and future software needs, how user-friendly it will be for your staff, and if it will help you achieve your objectives. When making this decision, agencies need to evaluate a long list of factors, many of which sometimes go overlooked. 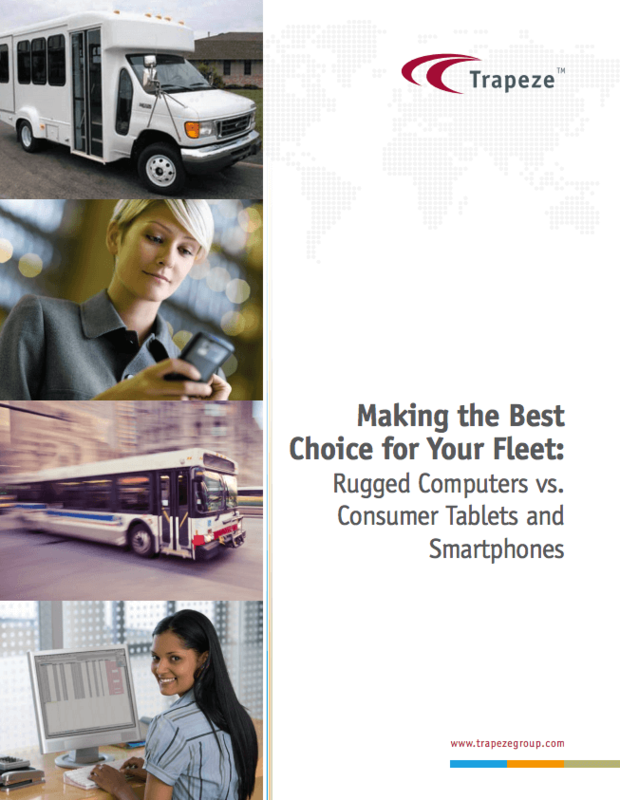 Trapeze evaluates each of these considerations, and discusses our very own rugged in-vehicle solution, Trapeze Ranger, which is specifically designed for the fleet vehicle environment and has a lifespan of more than seven years!